98% of the customers of Fachere rate our service and leather goods as excellent. Read several reviews of our customers. We are committed to providing you with the best possible service. 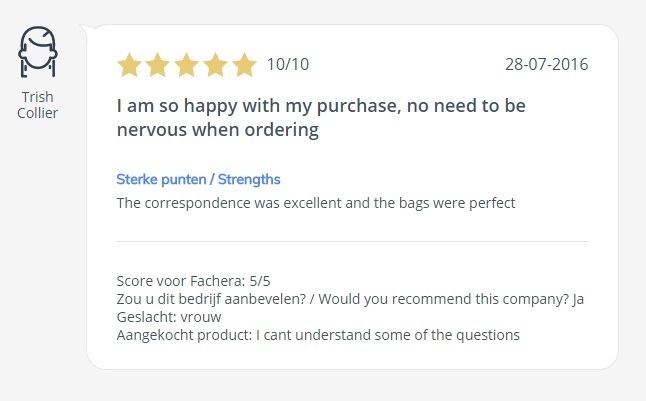 After purchasing one of our beautiful leather bags or purses in our webshop fachera.nl, all our customers get the opportunity to review us through a survey. 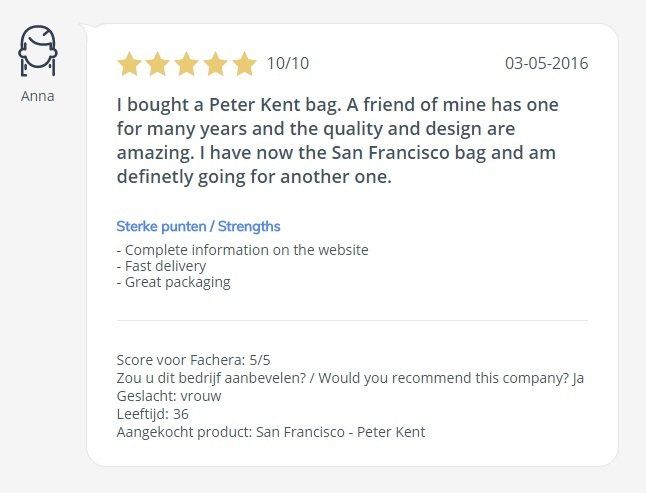 98% of our customers rate our service and leather goods as excellent! 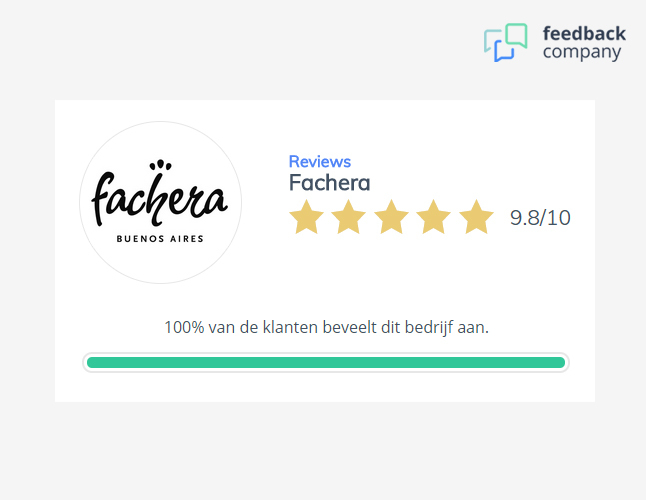 Read some reviews of our foreign or English speaking customers below or check the Feedback Company's website for the latest and all customer reviews about Fachera.